April 2013 – Will You Commit To Changing The World? Do you sometimes wish the world was a better place? You can make a difference just by the small life choices you make every day: What will you eat? What products will you buy? Do you treat your pets like objects or living beings? Who do you choose as your life partner? You will be amazed at how far-reaching the positive consequences of your decisions can be. It begins with your internal value system. Elated is here to help you live in alignment with your true values. Making A Wish For Mainstream Non-Dairy Milk —What are your thoughts on buying products that are vegan by accident? 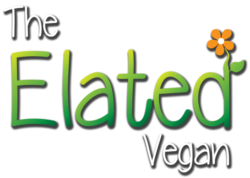 Elated promotes mainstream veganism. We want to see vegan products available in mainstream outlets across the world. Animal Testing is Not Good Science —You probably have horrific images of animal testing seared into your brain. Yet it is based on 150 year old science and is also bad for humans. I Trusted You, A Dumped Dog’s Anguish —Would you leave your pet at a shelter? Read this short poem by Penny Elms describing a dog’s experience of being abandoned. Vegan Dating —Are you looking to meet a special person to share your life with? Take a look at our list of dating sites to help you find someone with the same values as you have. Sign This Petition: I Am Vegan For Life! Will you commit to changing the world for the better? When over 170 million farm animals are being killed every day for human consumption, we cannot let another day go by without doing something about it. All it takes is one decision from you: please decide to be vegan. Quinoa Falafel with Avocado Tahini Dressing —Angela has crafted healthy falafel patties for you that are soft and light. Serve with dressing, either straight-up as an appetizer, as a main, or in a pita bread sandwich. You can also make the patties bigger to make falafel burgers. Raw Chocolate Coconut Cream Torte — It looks complicated, it isn’t. Eric’s vegan recipe transforms fresh, healthy berries and nuts into a decadent frozen dessert in a few simple steps. Enjoy! Thank you for taking a moment to reflect on your place in the world we live in. 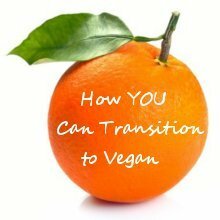 The idea of becoming vegan might sound like being lost in a foreign country to some people, but the experience is more like stepping into a warm, tropical ocean and you are filled with the feeling of peace and relief of coming home. Thank you for your support and emails. Please do not hesitate to contact me if you want more information about becoming an Elated Vegan. Together, we are making a difference! Would you like to keep in touch via email?